Secure access to Geosoft services and support resources. 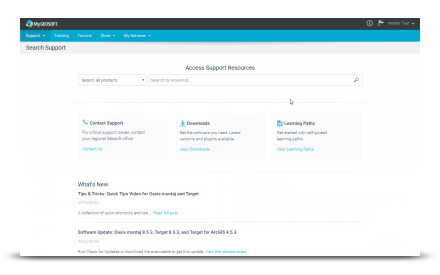 Search Geosoft's Knowledge Base and other help resources to find support for your software, from getting started how to guides to advanced technical notes and papers. 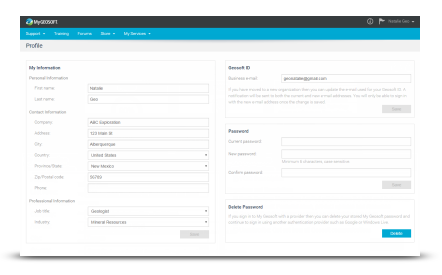 To get started, create a Geosoft ID with your business email address and sign in. Update your contact details and communication preferences, and access information about your active subscriptions and services. Active subscribers can take advantage of our Learning Paths on the way to effective learning. As an Administrator of your company's corporate My Geosoft Account, you can add and manage users, assign licenses, monitor corporate subscriptions, and view recent support activity.